Russian President Vladimir Putin approves Russia’s economic security strategy until 2030. Sanctions, cheap oil, and a decline in the economy were the reasons for Russia's new economic security strategy. The last one was created 20 years ago. 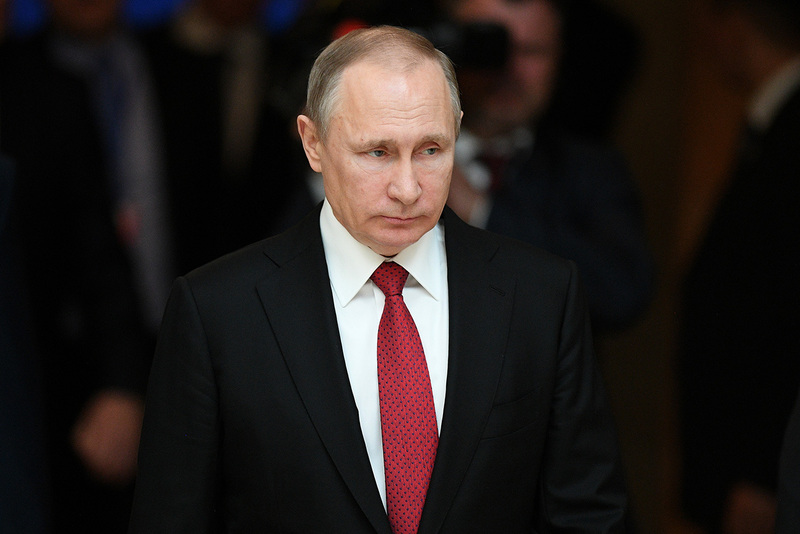 Russian President Vladimir Putin has confirmed Russia's economic security strategy until 2030. The decree was published on May 15. The document lists Russia's main threats: Discriminatory measures against key economic sectors, limited access to foreign financial resources and modern technologies, an increased potential for conflict in Russia's zones of economic interest and near its borders, as well as heightened instability in world merchandise and financial markets. Moreover, the document includes retaliatory measures in the event of sanctions. The text basically admits that oil and gas exports, which have been the foundation of Russia's economy for the last 15 years, have been exhausted. The fall in world oil prices is also reflected in other points that Putin mentions. Among the threats are the change in structures of world energy resource demand, and the exhaustion of the resource base of the fuel-raw material sectors. The strategy's authors believe that the main aims of the state management system's development, in particular, is to improve the investment climate, to de-offshorize the national economy and to increase Russia's business appeal. The president has instructed the government to create measures to realize the strategy within three months. Moreover, the ministers must evaluate the condition of economic security, secure the monitoring of the situation and annually report the course of its consolidation to the head of state. The strategy will be corrected every six years, writes the RIA Novosti news agency. What's security got to do with it? Economic strategies usually focus on issues of growth and development. It’s the first time in many years that stress has been placed on the security of Russia's economy. "The last time an economic security strategy was adopted was in 1996, which is why it was necessary to indicate the new challenges facing the Russian economy," explains Pavel Sigal, first vice president of Opora Rossii, a small and medium enterprise social organization. In his words, economic security does not directly mean the growth of the economy, although it is related to it. "The president's strategy only indicates an approximate direction of work, while it is the government that must create a precise plan to counter the threats pointed out," adds Sigal. Now everything will depend on the concrete measures that the ministries will develop, as well as the realization of these measures where necessary. The appearance of the economic security strategy says that the Russian economy feels the same threats that the global economy feels. "Nowadays crises occur in the world economy and geopolitics, there appear Black Swans such as Brexit. Meanwhile, with technological progress globalization in the economic sphere inevitably strengthens," notes Stanislav Novikov, managing director of BCS Ultima. On the one hand, this promises new trade and investment opportunities, but on the other, it carries new economic and technological risks and threats.